Empty tomb or empty faith? I have a close friend that adds that sentence as his signature at the bottom of all his emails. Even in October. When I first received an email from him, in December 2002, I remember thinking how unusual a signature that was. Some people include their phone number. Others list their website. A few even add a quote of some sort. He wants everyone to know that the tomb is empty. Even when it’s not Easter. For those without a Christian upbringing, education or worldview – his signature may seem like a confusing (if not morbid) thought. Especially if it was mentioned months away from Easter. It’s empty? So what? What the heck does that mean? Only the biblically literate truly understand what is being said here. Today, Easter is a day that means so many different things to so many people. For some, it is a celebration that Spring is upon us. For others, it is merely another excuse for families to gather and eat. Those with small children like to paint, hide and find eggs. Almost everyone eats a colored hard-boiled egg or Peep or chocolate bunny during this season. For many, it is one of two times a year they find themselves in a church. But for the Christians, world-wide, the holiday is more than just colored eggs & chocolate bunnies. Easter Sunday (or Resurrection Day) is central to our faith. Easter Sunday, like Christmas Day, has become extremely commercialized over the years. Immediately after Valentine’s Day we begin seeing bunnies and eggs and candy. Like Christmas, if you’re not careful, it’s easy to forget what this holiday is supposed to be about. Stores promote Easter sales. Communities promote Easter Egg hunts. This weekend, I was reminded of how far the holiday has eroded when I saw a line (100 deep) waiting to sit on the lap of a man in a bunny suit. Mall employees might care about the meaning of the holiday but Mall owners care not. After all, people will pay for a photograph of their child sitting on a Bunny’s lap. There is no financial profit from an empty tomb. Like it or not, the Easter Bunny (like Santa) has just about hijacked the holiday and fewer each year seem to understand the significance of the day. In a nutshell, Easter is simply this – the celebration of a sinless Christ rising from the dead (according to the prophecy), proof that God accepted His sacrificial death on the cross as payment for the sins of His people. Rising from the dead is unbelievable in any culture. Death is one of the permanent aspects of our human existence and no one returns from the experience. It has only been documented as happening a few times in all of human history and every time it has occurred – God (as the Author and Giver of life) receives credit for it. It is truly an impossible feat, unless God is doing the resurrection. Of all of the documented cases, only one time did the Deceased raise Himself. That single occurrence is the reason for this season. Christ rose again. The tomb is empty. And for those who may doubt it ever happened, here are eight solid reasons we can trust it occurred. A broken Roman Seal. Jesus death was a major news event. Since He (and His followers) were claiming He was the King of the Jews, the Romans were interested in seeing this “King” executed for fear that He would overthrow the Roman government. Since there were rumors going around that Jesus would and could rise from the dead, the Romans were quite interested in keeping Him in the tomb. An occupied tomb would crush a rising Christianity and prove their Leader a liar. After He was killed, He was placed in a tomb that was officially sealed by the Romans. The fact that the Roman government (the most powerful government in all of history at that time) sealed the tomb is significant. To break a Roman seal was punishable by death. The Jews weren’t going to break the seal since they wanted Him dead. The Romans weren’t going to break the seal because they wanted Him dead. And His rag-tag followers, many of them from the unarmed, poor working class could not break the seal, even if they wanted to because of point #2. Heavily guarded tomb. The traditional story makes us believe that there were only 2 or 3 guards present to guard the tomb. Logically, this does not make any sense. If Herod had 16 soldiers guard Peter in Acts 12:4, then would it not make sense that he would have at least that amount to guard the body of the most controversial figure of his time? Knowing there were at least 11 disciples at that time, would it not make sense to have at least that many guards, one for each disciple? What about all of Christ’s other followers – many of whom would have wanted to visit the tomb. If an angry mob showed up, could a mere 16 soldiers stop them? Obviously, no one is getting in or out without having to overcome these guards. Both the Romans & the Jews have plenty of incentive to make sure this body stays put. It is reasonable to assume it was heavily guarded with more than just a handful of guards. The tomb was empty. The fact that the tomb was indeed empty was confirmed by both Jewish and Roman sources, haters of Christ and His brand of teaching. Since both Jews and Romans wanted Jesus dead, it was in neither party’s best interest to have a missing body on their hands. In fact, without Jesus’ physical body, it creates a world of problems for them. So troubling is this news, the authorities would rather create a lie (Matthew 28:11-15) then let the Truth come out. The stone was rolled away. The first people to discover the empty tomb were two women – Mary Magdalene & another woman named Mary. They desired to anoint Jesus’ body with spices (common burial ritual) but had voiced their dilemma to each other, “Who will roll the stone away for us?” recognizing their inability to move (even budge) the 1 ton (or more) stone. As they approached the tomb, they discovered the stone was already rolled away and an angel was seated nearby. They also would have had to overcome armed Roman soldiers to do so. The point is this, the only people who wanted the stone moved were not physically able to do so. Roman guards had fled. The Roman guards were there for one reason – to make sure no one took that body. The Roman government knew one thing for sure, an alive Christ causes them problems. Keeping Him dead was a priority, so much so that they put the weight of their military behind it. The soldiers would also have understood one thing as a group – if Christ’s body, for any reason, left that tomb – they would all be dead, executed by their own government. When the angel appeared and the stone was divinely removed, the guards “shook for fear of Him and became like dead men.” They knew the consequence of His disappearance. The presence of grave-clothes. After Jesus was killed, His body was taken off the cross and placed in grave-clothes, another common occurence. 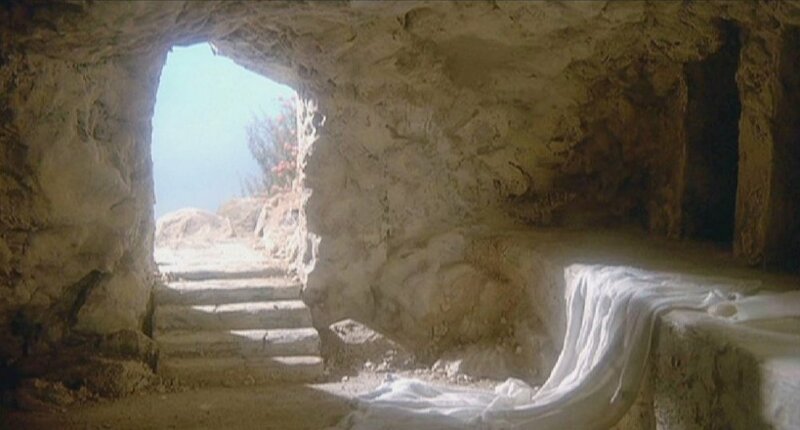 When Peter got to the tomb, all he saw were the linen wrappings, no body. Rumors began to fly that Jesus’ body was taken by the disciples (Matthew 28:11-15). If someone were to kidnap a body, the last thing they would do is to take the time to take off the grave-clothes before leaving. To assume that Jesus would have had the strength to revive Himself after crucifixion, remove the grave-clothes, push a 1 ton rock away, get past a dozen (or more) armed guards and escape unnoticed takes more faith than just believing God raised Him from the dead. The presence of grave-clothes points to resurrection, not kidnapping. Living eyewitnesses. Soon after the tomb was discovered empty, Jesus personally appeared to over 500 people. By the time the Apostle Paul wrote about the resurrection (some 30 years after it occurred) by his own admission many of them were still alive and able to be interviewed. A living eyewitness trumps heresay any day. Ask any lawyer, 500 reliable eyewitnesses would be enough credibility to prove just about anything. Prior to becoming an Apostle, Paul was a Christian-killing Pharisee with no reason or desire to believe in Christ or His resurrection. The fact that he admits to seeing the risen Christ is significant. The disciples lives. By the time of Jesus’ death, every disciple of His had left Him. Every one. Men who had walked with him for three years took off as He breathed His last. After all, if the Romans killed their leader, why would they not go after His followers? Despite their love and close friendship with Jesus, they left Him when He needed them the most. Having said that, the most remarkable proof of the resurrection of Christ is the transformed lives of these formerly cowardly disciples. What would make them bold? What would make them fearless? What would make the majority of them willing to die horrific deaths as a result of their allegiance to their dead Leader? His resurrection. His appearing to them, after death, was so life changing that they could not help but become emboldened in their resurrected faith. Without the resurrection of Christ, there is no Christianity. 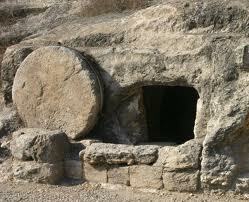 A dead body in the tomb would point to a dead Christianity. Paul reminds his hearers of the spiritual significance of this event, “And if Christ has not been raised, your faith is futile and you are still in your sins.” (I Corinthians 15:17). Those who know me know that my sins are many. My crimes against Heaven are well documented. God’s penalty for those sins are not only deserved but fair. Sins against a righteous God deserve death (Genesis 2). In just four short decades, I have created a mess that only God can fix. Being good just isn’t good enough. In God’s economy, not even one good deed can outweigh the tiniest white lie – let alone some of the bigger sins I have committed. If you are honest with yourself and your past, your assessment is no better. Good Friday reminds us all that God climbed up on a cross for a sinful race in our sinful place. Through His death, God swiped His Christ Visa and paid a debt we could not pay. A debt that would have cost us our very lives. Easter Sunday reminds us all that those sins have been paid in full, for those who accept the payment. His resurrection is the receipt that the payment was good. It’s not about eggs and bunnies but redemption and grace. Good Friday brought death. Easter Sunday brings life. The reality is – either Christ pays for your sins or you do. Today, you either have an empty tomb or an empty faith. How about you, friend? Which do you possess?